The first question you should ask prior to starting up a broadcast ministry is: what is your definition of broadcast? Technically, web streaming could be considered a form of broadcast. 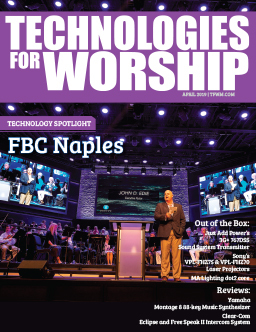 These days, a trend that has been developing is houses of worship are veering away from the traditional broadcast method and focusing more on their online presence, through webcasting or cached recordings. If you already have a camera system, and in this sense we are only focusing on the distribution part of the puzzle, webcasting ends up being a less expensive route to go as far as broadcasting, in general. However there may be scenarios where a smaller community’s cable system may end up giving away their time for free or at least for incredible values to organizations including houses of worship. That ends up being a cost effective method of local broadcast, but of course the reach for that is pretty small. With the web, the reach can obviously be bigger, but the caveat is that people need to be able to find you. So the question about your definition of broadcast comes back into play. Do you want to be on a TV station, or a cable TV network? The bar raises exponentially based on whether you are going the route of a major broadcaster versus a local cable TV operator. In reality the step between doing a webcast solution and a small local cable broadcast situation is not that big. The model some churches are using is to burn a DVD of their service- as in use a very small amount of editing- fade up at the beginning, fade down at the end, maybe add intros & credits, then package it up and send it on to a local cable or low power TV station. And that’s it! The thing that has been moving people away from traditional broadcast recently is that it is actually getting more complicated in a technical sense to do it. For one thing, if it is a large enough TV station, you have to have your content closed-captioned. That raises the bar right there. Either you have to have people and the equipment in-house to do that, or you have to go to a service provider to get your content closed-captioned. If not, the TV station will refuse to take your content. The next thing that is complicated in regards to delivering your content to even a smaller CATV operator and TV stations is that they are all moving away from tape and DVD-based content. They want a file. When a cable TV operator moves from accepting tape or DVD to a specific file type, it raises the technical bar. It can be very complicated getting the file just right for the specifications of the broadcaster. Some churches are not able to get files compressed properly with their editing system, and so the end result is that they give up on the traditional broadcast method. To make this aspect more complicated, there is no one industry standard that specifies what file types are accepted by these operators, seeing as everyone’s model is slightly different. In short, right now it is a quagmire. And it’s not just the smaller local TV stations migrating to file-based, it’s also the larger ones, including the networks. They all have a goal of not accepting tapes at some point- if not already. So with all of these complications with the traditional broadcast model what is the impetus to go that route at all? It ends up being a business decision. The reality is, a staff and a congregation really need to look at these investments in a business sense. 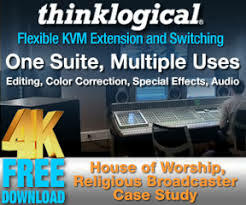 Any house of worship that is looking to one of these broadcast methods, be it webcasting or traditional broadcast, if their intent is to make it a long term ministry, then they need to think about the business strategy aspect. Essentially, what is this decision going to take- financially, people-wise and time-wise, to accomplish this goal, and then what are the results that we need to see to make it worth our while. It’s important to understand the big picture before you jump in- if you do, you have a good opportunity for success- if you don’t, you are setting yourself up with an expensive experiment that could burn out your congregation and your volunteers. Proper planning will allow you to sustain a successful web or television program. The first thing you really need to do, when identifying your broadcast model is: figure out where you are going. What are your distribution channels today, and what will they be in the future? Maybe you want to stream to the web for shut-ins, older people and people on vacation so they will be able to be involved in your services. That’s a goal. Then you want to take that same content and make it available on a local cable TV station. That’s another goal. So, determine if you are going to do one or the other, or both. And then, determine whether your goals are going to go any higher than that. You should have a really solid game plan as to what your program is going to look like. Is it going to be 30 minutes, or 60 minutes, and who is it aimed at? Really do some soul-searching about the identity of your program, because that will end up driving the system you are going to need to accommodate it. The equipment at a lower level is very attainable and can be very cost-effective. However to get the content to where it needs to go can sometimes be complicated. A strong recommendation is to start with no fewer than two, and even possibly three cameras. You’ll need an appropriately sized production switcher. You’ll need an editing system that can capture content from that switcher live to a file, armed with the appropriate software for editing and compressing. That will at least open the door. 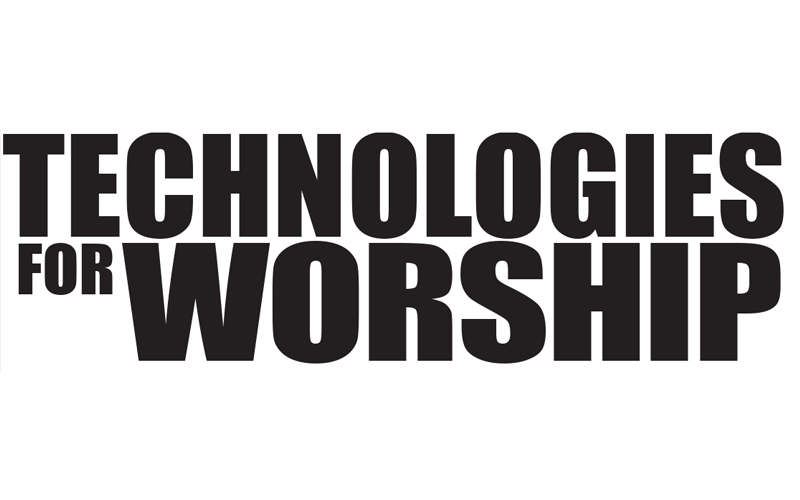 Additionally, you should consider having worship graphics as a source on the switcher. For example, when the pastor is reading a verse from the bible, the director has the option of putting that verse on the screen for the recording live, instead of in post. That will reduce your post production requirements. As part of this process, you need to also think about sustainability. If you don’t have the finances, the people or the technical systems in place to accomplish your goal, then you’ll want to reconsider. A company can sell you all of the components you will need to make a great product, but if you don’t have the creative chops and the people in place to ensure that quality bar isn’t lowered, then you may not be able to keep your program on the air. The suggestion in this case is to not do it yet. Instead, build a plan where you plan to grow through various stages of production. Build your team, build your plan, and let your flock know what you are actually doing. One of the most important decisions you have to make is what you want your program to look like to the viewers. Keep in mind that a viewer’s first impression of your church could be your program- what do you want that impression to be? Do you want to look professional, with high quality audio and video, with a production value that matches the look and feel of your congregation and your ministries? If you produce a less than ideal program you could lose the opportunity to make a difference to that viewer. They may even change the channel and not come back. The key is to set up a model where you can learn, grow, and build your team around you, and have fun experiencing it all. Some of the content on the local cable access stations is horrible. Maybe you’ll want to start by focusing on how you can make more engaging and professional looking programming so that you can at least feel like a big fish in a smaller pond for a while. Then maybe you’ll be ready to go to a larger TV station, once you have created a professional program and have been able to sustain it, both with quality and intentionality.